I'm fascinated by anything attached to the gold rush era--whether in California, Alaska, or even the smaller ones in Oregon or Arizona, along with the silver rush in Oregon. 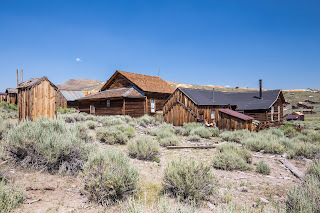 That subject figures in a little into a couple of my books, with towns in the Old West where a gold or silver rush is what precipitated the founding of the towns the books were set in--Last Chance, CA, Baker City, Oregon, and Tombstone, Arizona. My husband and I watched a documentary on TV a couple of months ago about stern-wheelers in Alaska that brought people and supplies in for the gold rush there. What truly fascinated us was a hard-working, determined couple (A.J. Goddard and his wife) who hired people during the Klondike Gold Rush to help them pack in an entire, small paddle wheeler on their backs and on carts they pulled. A very few parts were able to go on mules, but not many. They made 5 or 6 trips total crossing the Coast Mountain range, all with their supplies and parts of a stern-wheeler strapped to their backs. Talk about perseverance and dedication! They got the stern-wheeler assembled, made a couple of profitable trips with it, then sold it...and a year later it sank in a storm. than what they were gaining in the sale of silver. You have to wonder with the prices higher now, if it would pay to open those mines again. Miralee Ferrell is a best-selling, award winning writer. 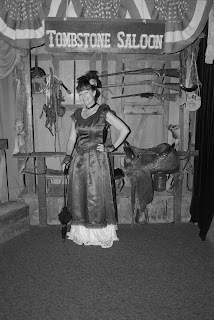 Most of her books are set in the Old West in the 1800s, but she also has a few contemporary romance novels and 5 middle-grade horse novels. She lives in the Pacific NW, where she also works as the publisher at Mountain Brook Ink (publishing). Catch any of Miralee's books by checking on Amazon for her entire list or ask in bookstores. 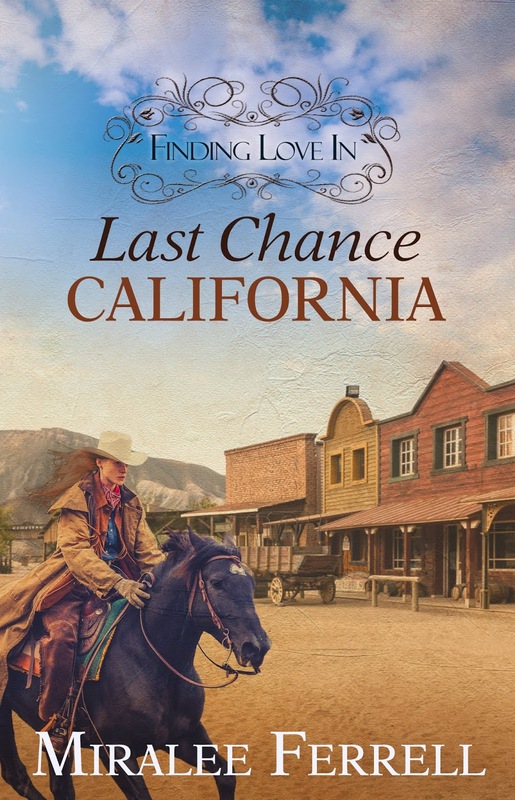 Finding Love in Last Chance, CA, is set during the silver mining boom in the mountains north of Auburn, California. It's the first in a series but each can be read on their own. It's 1877 and Alexia Travers is alone in the world. Her father has died unexpectedly, leaving her burdened with a heavily mortgaged horse ranch. Marrying one of the town’s all-too-willing bachelors would offer an easy solution, but Alex has no interest in marriage. Instead, she dons men’s clothing and rides the range, determined to make the ranch a success on her own. Help arrives when Justin Phillips, an acquaintance of her father’s, comes to Last Chance with his young son. Justin'’s and Alex’'s combined effort to save the ranch quickly turns into a fierce competition between cowboy and tomboy. But when disaster threatens Travers' Ranch, they must work together to save someone they both love. Can these two independent people learn to depend on God —and on each other? 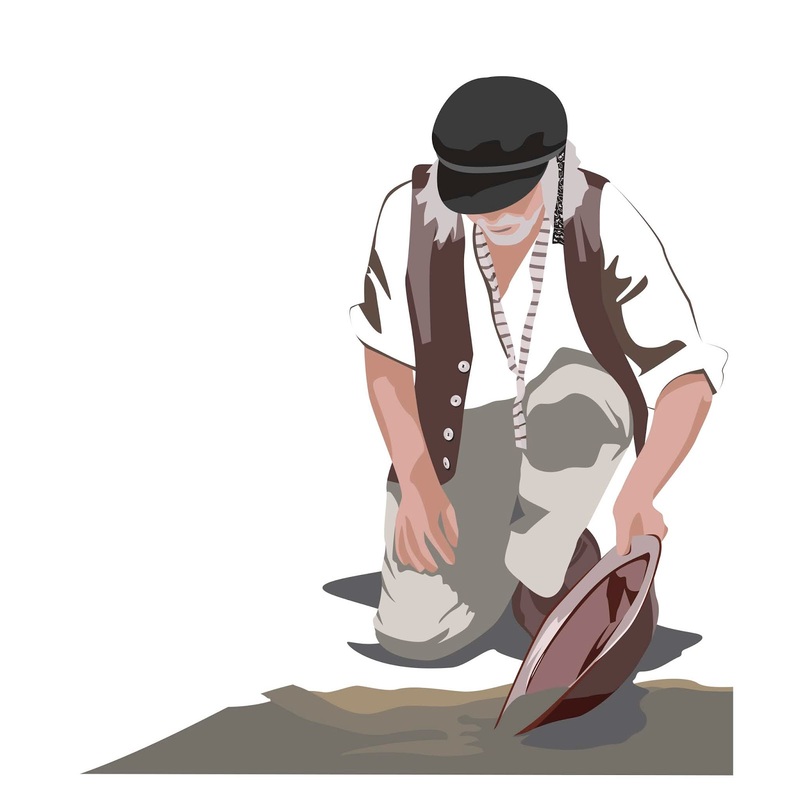 Nice post about the past with the gold rush in the 1800's. Reviving the past would be interesting. Marilyn, my hubby and I would love to buy or stake a gold claim (since mining claims are available all over the country) and try our hand at panning when we retire. Looks like fun! Very interesting. Those mid century people were sure enterprising. Thanks. For sure, Paula. You would never think of that century as lazy, that's for sure! Thank you for taking the time to read it, Connie! Very interesting post Miralee. Loved the pictures. Thanks so much, Tina! It's always a pleasure to see you here.